BBFA’s mission is to protect the renewable salmon resource and promote economic sustainability for commercial salmon permit holders in Bristol Bay. In 2017 BBFA celebrated 51 years of representing the interests of Bristol Bay fishermen. BBFA has been steadfast in its commitment to fishermen and the salmon resource of the Bristol Bay region since 1966. BBFA is comprised of and funded by fishermen memberships. Bristol Bay fishermen have benefited from the hard work of BBFA members who have served on the BBFA board and its committees. 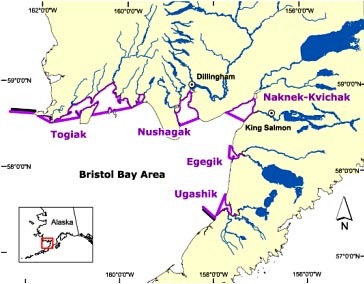 BBFA has ongoing goals towards the protection and promotion of the Bristol Bay salmon resource and fishermen’s livelihoods. Endeavors to protect the environment by opposing the proposed gold and copper Pebble Mine in the Bristol Bay watershed, offshore oil and gas development in the Bristol Bay/Bering Sea region and offshore aquaculture in the United States. Seeks to protect the salmon resource by decreasing foreign and domestic interception fisheries. Represents fishermen’s interests in political and regulatory arenas such as Bristol Bay and Area M Board of Fisheries Hearings and in Washington D.C. Supports efforts to improve salmon quality, diversify markets and increase fishermen’s ex-vessel prices. Supports funding of fisheries research, management and genetic stock ID work. Plans to develop its property on Leader Creek to the benefit of its members in the future. BBFA is incorporated in the State of Alaska and is democratically run by its members and Board of Directors. BBFA offers its membership a quality marine insurance program in Bristol Bay. E-mail list serve. Receive breaking news and information by e-mail. Facebook Page. © 2012 - 2018 BBFA - All Rights Reserved.